Light (Wiki: Electromagnetic Radiation) is part of the electromagnetic spectrum and broadly speaking covers the wavelength range of 40 nm to 1,000,000 nm. This is from short Ultraviolet through long infrared (IR). Only the narrow band of about 400 to 750 nm (blue to red) is what's called visible light (Wiki). Near IR (Wiki) light (about 700 through 1200 nm) can be seen by using a digital camera that has the IR blocking filter removed. This is sometimes called X-Ray since you can see through some clothes. When measuring the light output from something that makes light there are two ways. One is to measure the total power output at all light wavelengths and the other is to measure only the visible light output. If the light is to be used by people seeing something with their eyes then the visible light output is the important thing. Note that digital cameras have silicon imaging chips that can see near IR light, but they also have a filter that eliminates near IR light so that the overall response of the imaging chip comes close to human eye response so that color photos will look correct. There are a number of ways that light can be converted into an electrical signal allowing it's brightness to be measured. One of the key problems they face is to have a response that matches that of the human eye (Wiki: Luminosity, CIE 1931 color space). 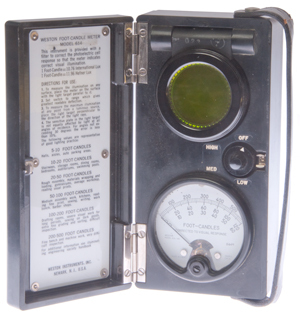 If the spectral response of the sensor does not match that of the eye then the reading may be too high or too low. When modern Silicon sensors are used to measure light something needs to be done to cut the IR response of the Silicon that's much more sensitive than the eye. 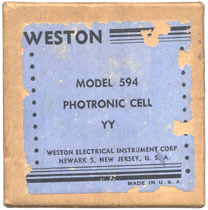 The filtering that's used on Silicon sensors is a reasonable approximation, but not as good as the Weston 594 Photonic Cell with the Visible Correction (VISCOR) filter. For light intensity of 20 foot-candles and max. external circuit resistance of 200 Ohms. Produces 4.0 (+/-0.3) uA per ft. candle with a linearity factor of 0.83 (+/-0.08). Linearity is nearly 1.00 into a 3 Ohm load. 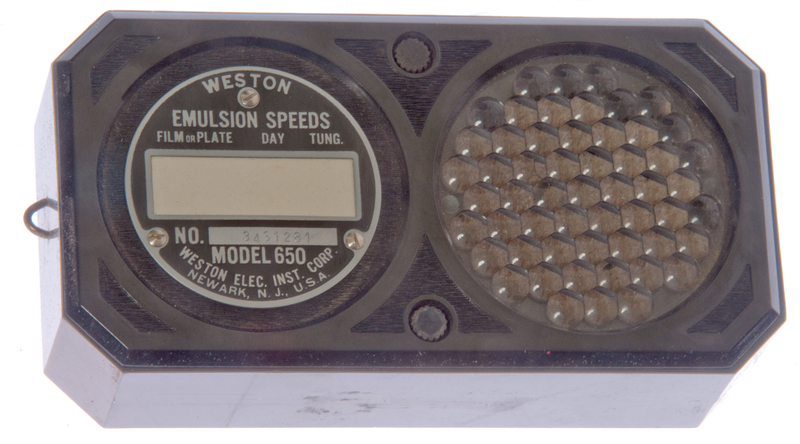 I think the Weston 594 Photonic Cell is the basis of a number of specifications for visible light and they are still being made today by Huygen (the company is named after Christiana Huygens [Wiki]). 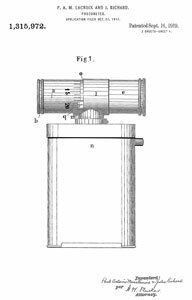 Which is triply fitting since the son of Edward Weston 1850-1936 (309 patents mostly relating to electric meters) named his son Edward Faraday Weston 1878-1971 in honor of Michael Faraday [Wiki]. The patents signed Edward Weston are the fathers and Edward F. Weston the son. 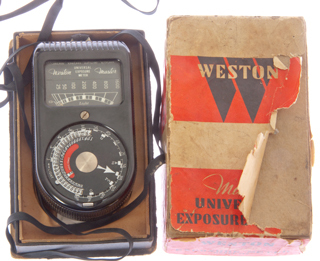 Although the "Weston" light meter was/is a standard of the photographic industry and popularized by Ansel Adams and Edward Weston the photographer used them it was made by Weston Electrical Instrument Co. and mostly due to Edward F. Weston. That's three different people called Edward Weston. Called a dry disk type photoelectric cell. 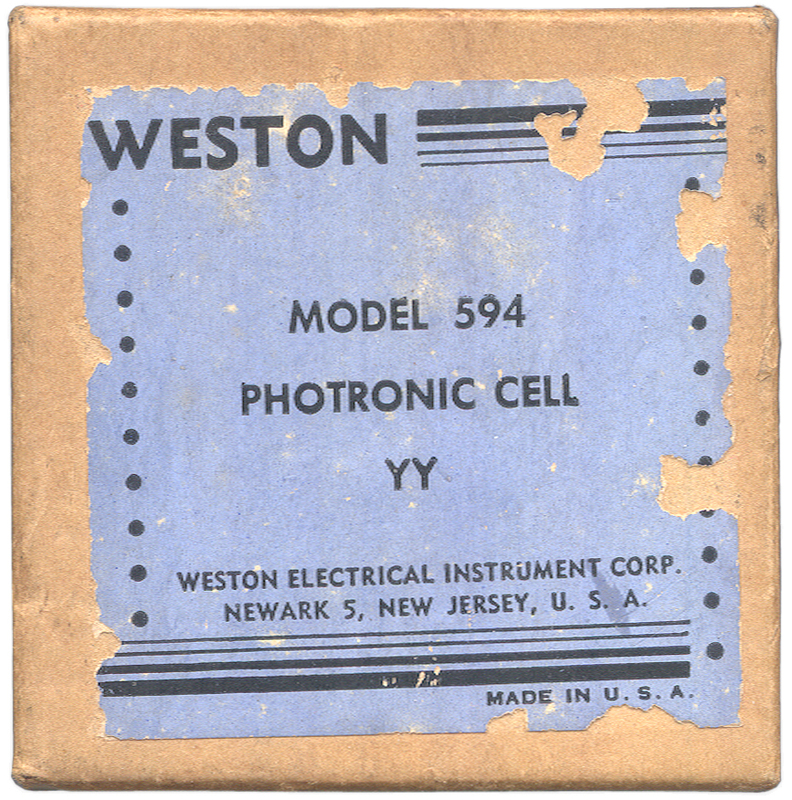 An ad in the Dec 1932 issue of Electrical World says that 14 months prior ( Oct. 1931) Weston started advertizing the Photronic cell (and relay). See:Transactions of the I.E.S. 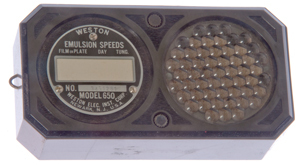 : New, Color Corrected Photronic® Cells for Accurate Light Measurements by Marlin E. Fogle (R&D Engineer at Weston Electrical Instrument Corp.). Dr. H.P. 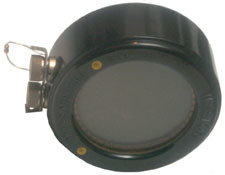 Gage of Corning glass developed the blue-green glass filter specifically for the VISCOR filter to remove the excess red and near IR response. The other filter is yellow to remove the excess blue response. Cites a prior article in the same Transactions of the I.E.S., but in XXVII, No. 9, pg 828-835 (1932). Fig 2 shows the 614 and 756 Illumination Meters. 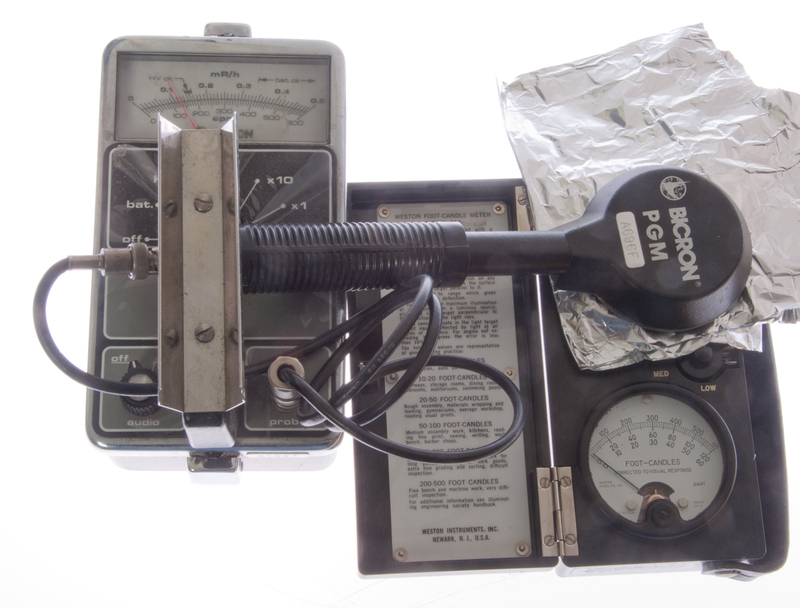 Prior art Photoelectric Cells did not have a stable light to output conversion factor, they degraded over time so could no be used to make a light measuring instrument. This is a Selenium based photo cell where each cell only generates a small voltage, but with strong current and so a number of these can be connected in series to get a useful current. This version (called YY or Yellow Yellow (see the color dots in photo above) has an output of 46 to 58 micro amps at 20 foot candles with a 200 Ohm load. The (output at 200 fc) / (output at 20 fc) >= 8.6. 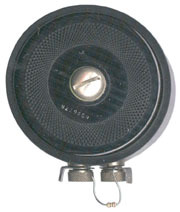 The 200 Ohm load was used back in the vacuum tube days, but today a virtual short input operational amplifier will improve the linearity compared to what you would get with the 200 Ohm load. There are different filters available for the 594 but I don't yet know which is on this one. 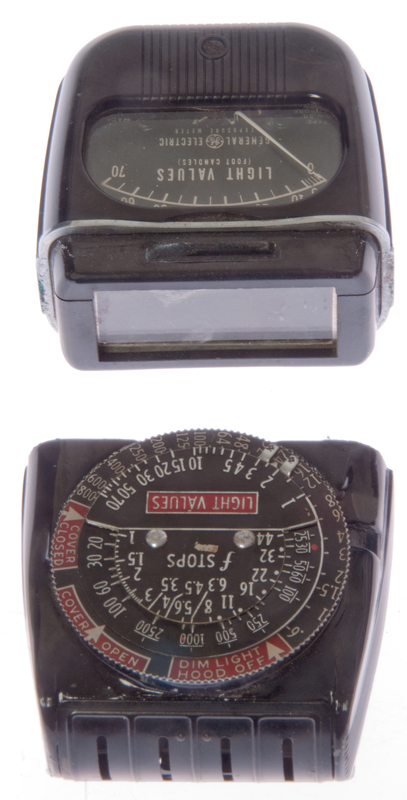 The 614 and 615 light meters are very similar and I think they both use either the 594 cell or a version of it based on the wording in their description. 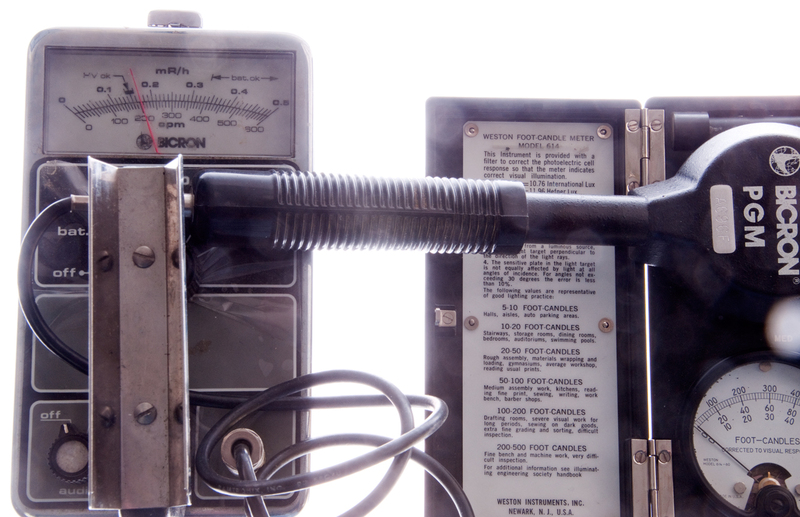 "Corrected to Visual Response" on meter face. 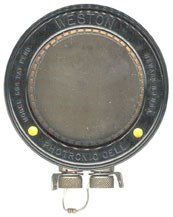 The photocell in both the 614 and 615 meters can be rotated up about 90 degrees so that you can hand hold the meter in your right hand using the strap while walking around a room and measure the light intensity falling on a horizontal surface (the photo cell surface should be parallel to the surface being measured. The 614 does not need a battery. 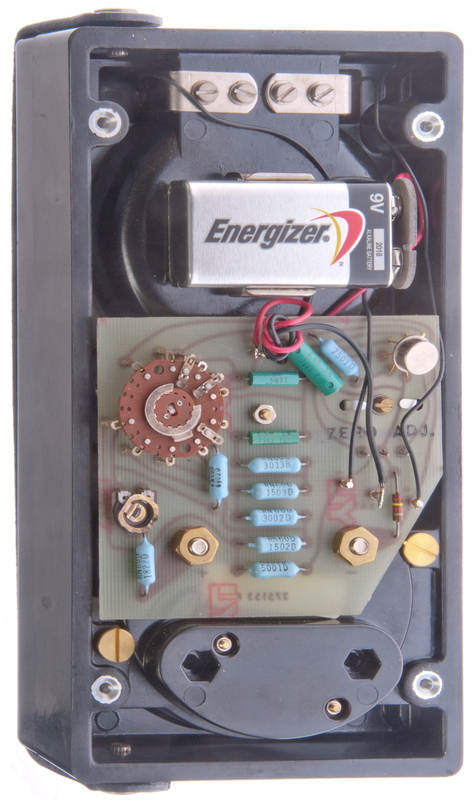 It only contains the photocell and some wire wound resistors for the range switch. 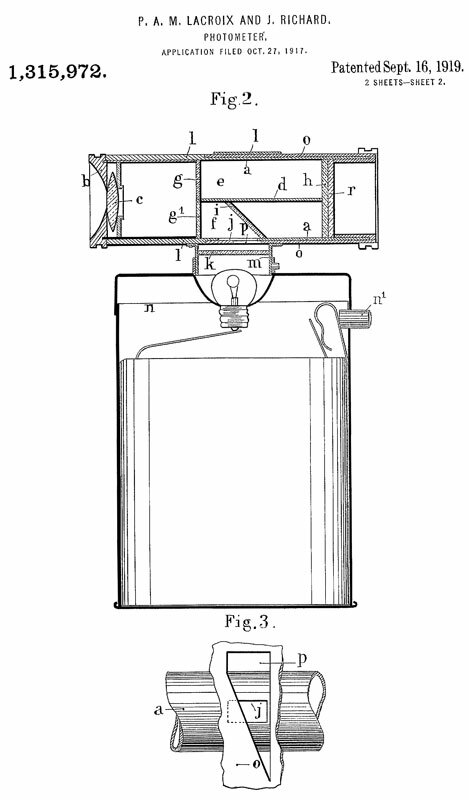 mentioned in patent: 2050224 Projector for color motion pictures - filed Sep 5, 1933 - so in use then. Still photographers typically use reflected light metering (Wiki: light meter), i.e. from the camera position looking at the subject. When the pancake probe of a Bicron 50 radioactive Survey meter is placed on top of the photocell it reads 20,000 counts per minute. 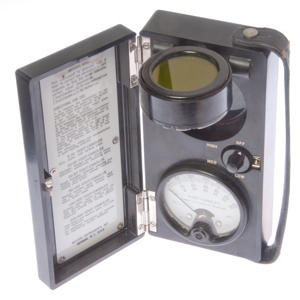 But when the Bakelite (Wiki) lid is closed the reading drops to background count. Radioactivity measured using Bicron 50 Surveyor & PGM pancake probe. and the probe there is a slight drop in the count. the Counts Per Minute drops slightly more than for paper. 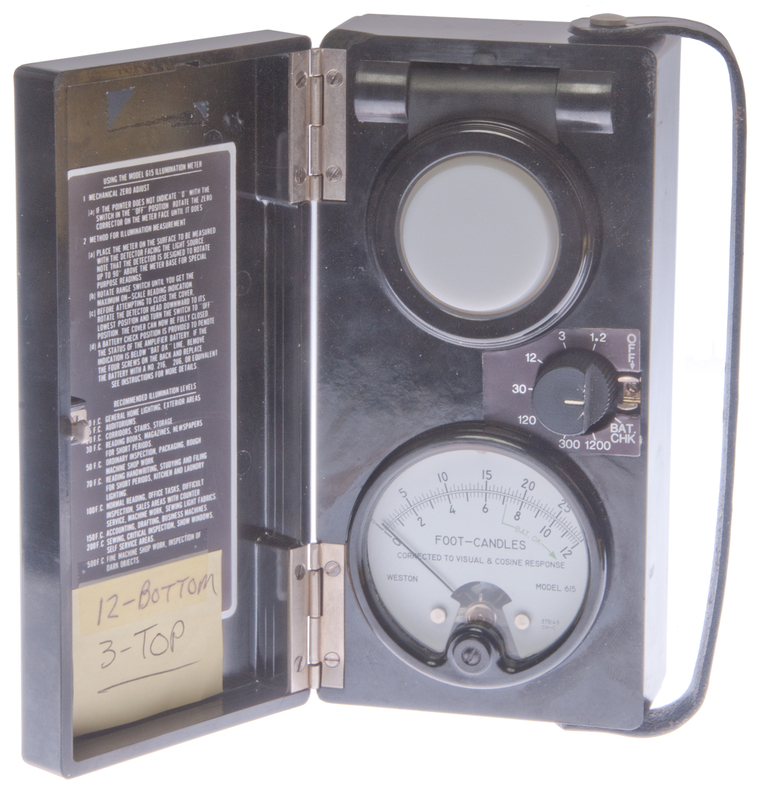 When the Bakelite lid (3.9mm thick) is closed no radiation is sensed. One theory is that they use thorium for refraction reduction and uranium for color filtering? The 615 meter uses a common 9 Volt battery and contains an op amp and associated precision metal film resistors. 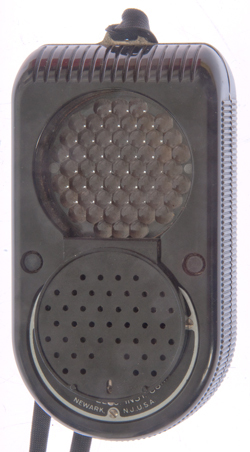 The 615 has a white cap on the photocell. "Corrected to Visual & Cosine Response" on meter face. Movie photographers typically use incident light metering, i.e. 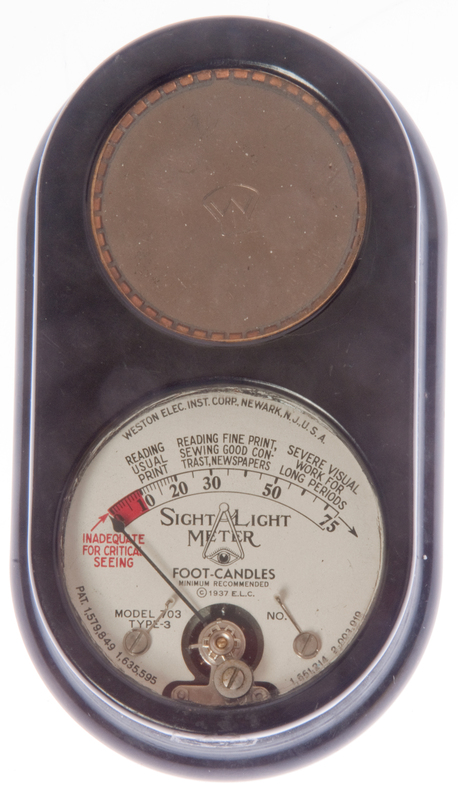 the light meter is at the subject location and measures the light falling on the subject. 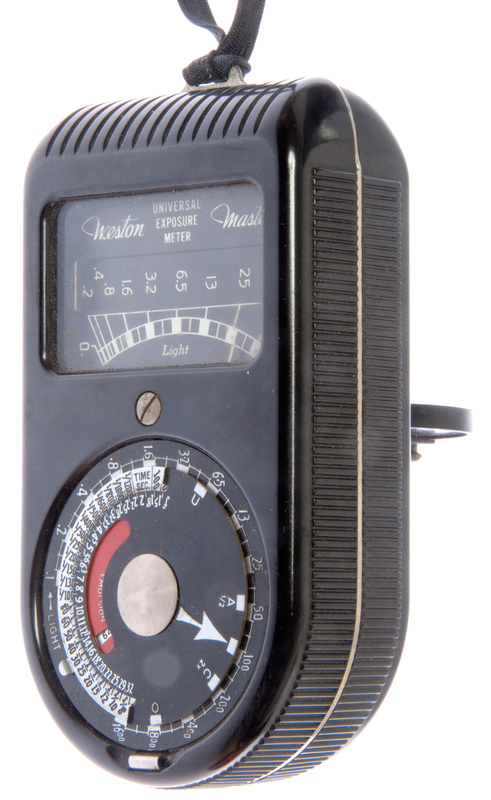 The Sekonic movie light meter (Wiki) has a white hemisphere on a swivel mount and it is the brand I used with a Bolex H16 16mm camera (Wiki). Since the Model 614 and 615 have sequential model numbers and one is for still photography and the other is for movie photography, they may be the first light meters intended to measure light for the purpose of exposing film. But the table inside both models is for light for various tasks like reading, etc. 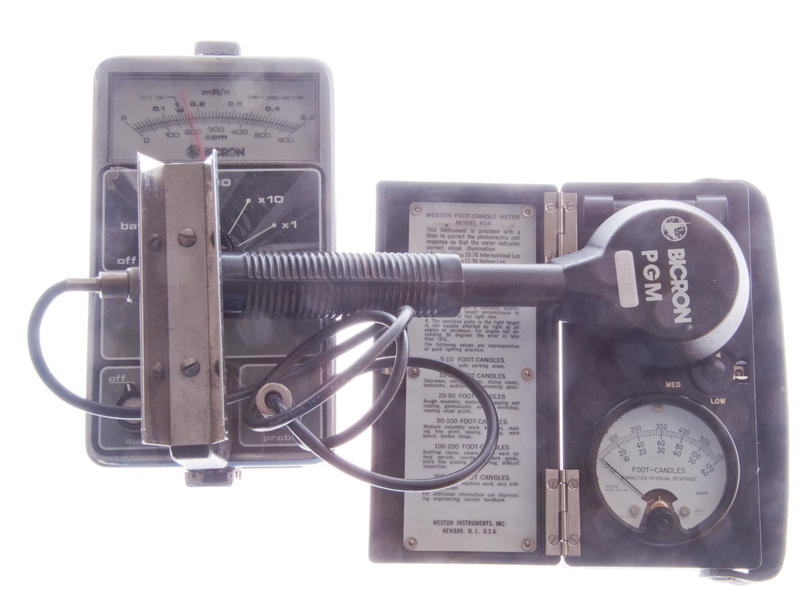 The Geiger counter reading is only 4,000 counts per minute for this meter, much less than for the 614 above. Probably because the white diffuser blocks the radiation. 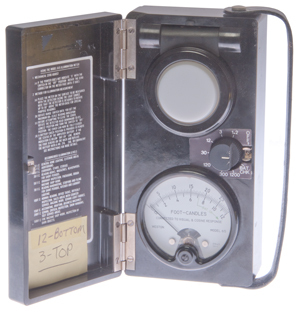 With the Bakelite lid closed only background radiation is measured. Weston 615 Foot-Candle meter with back off showing 9V battery and zero and another adjustment pots. 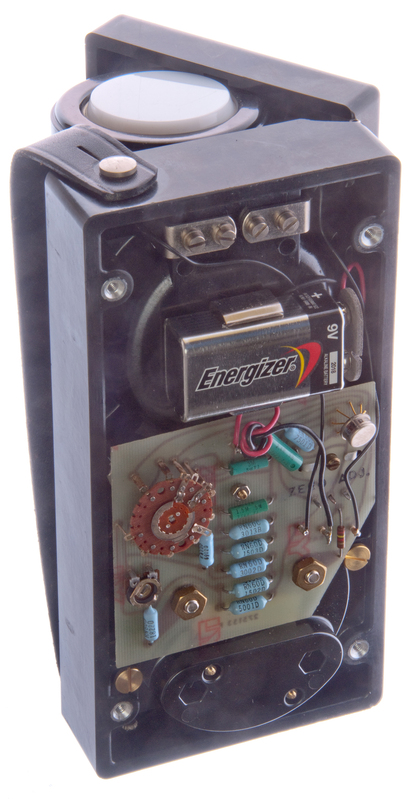 Uses two the 594 cells (maybe to get enough power to drive an analog meter movement). 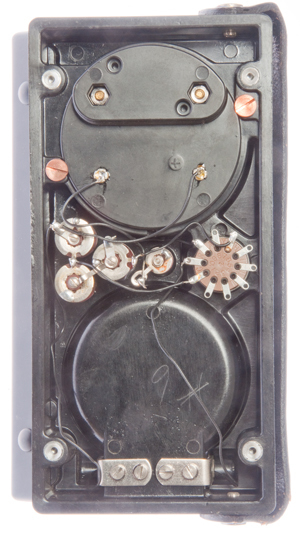 Federal Reporter, 2nd Series, Vol 133. pp. 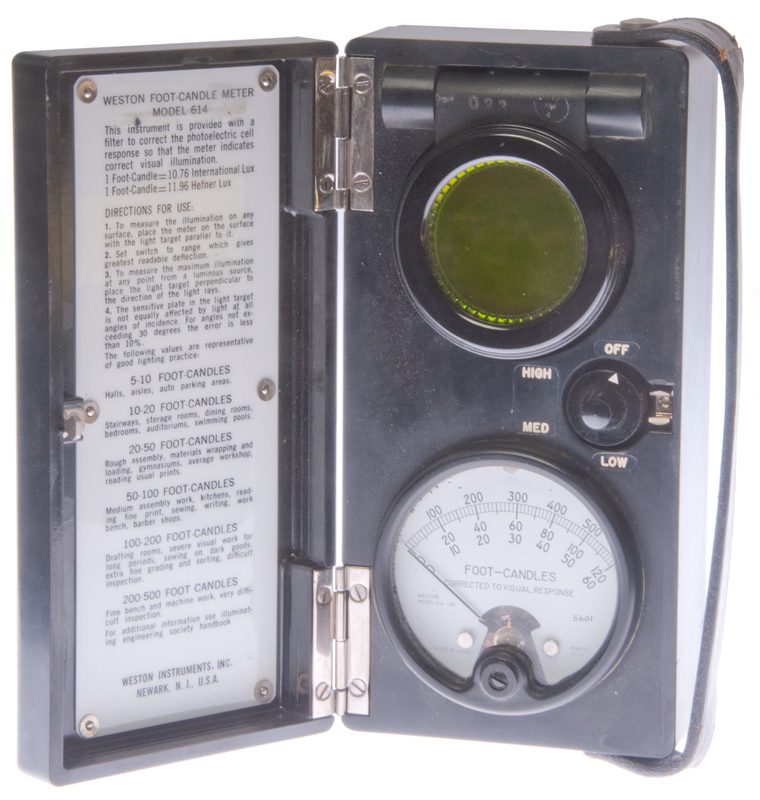 778-781; WESTON ELECTRICAL INSTRUMENT CORPORATION et al. v. DEJUR-AMSCO CORPORATION - info on use of honeycomb to control look angle. One of the earliest photoelectric exposure meters and marked the introduction of the Weston film speed system (Wiki). 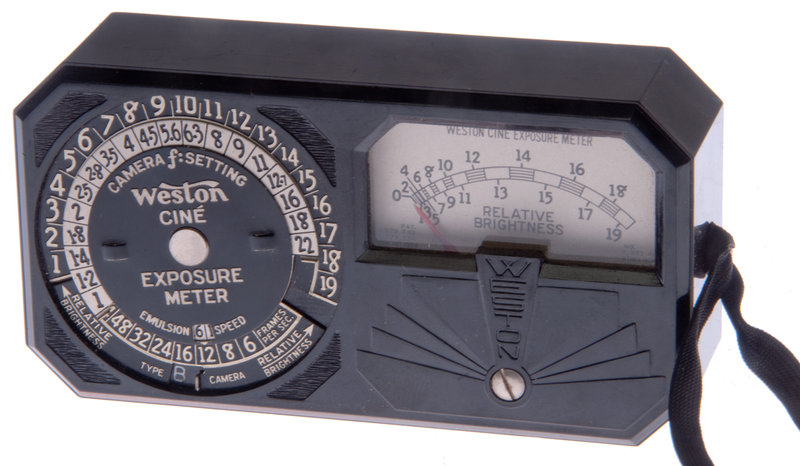 It wasn't till 1949 that the Weston exposure meters switched to the then new ASA system. 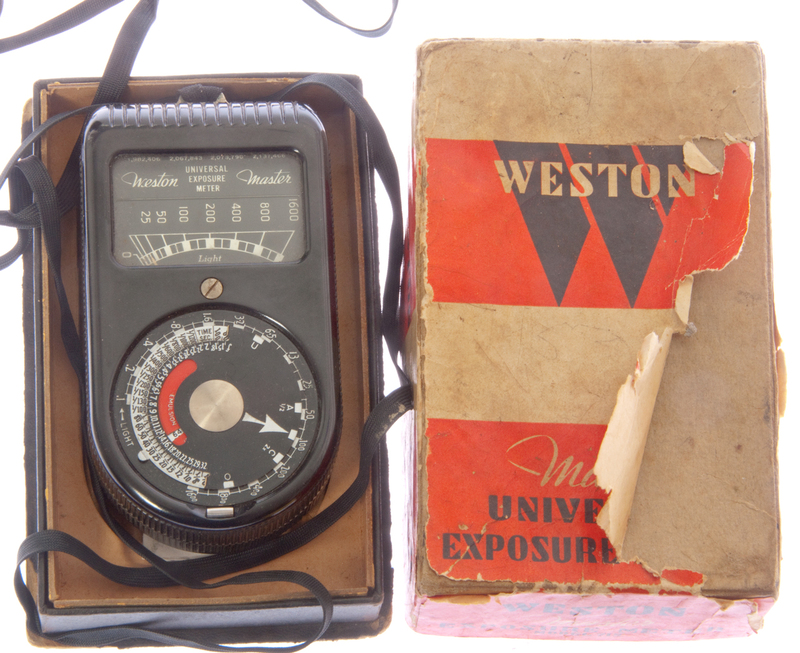 Note: The difference between the Weston film speed and the official ASA film speed was a difference of 1/3 stop. I expect at that time it amounted to no difference and may have been done so that Weston could not claim to be the total basis for the ASA system. 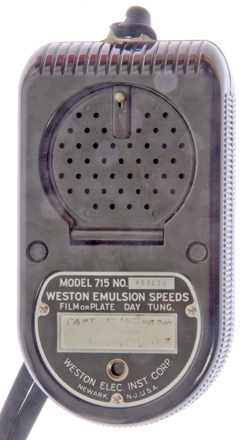 In the late 1920s film speeds (Wiki) were not yet standardized between manufacturers, so each brand had their own system. since films were not standardized. About 1926 based on patents on meter face. Note not intended for photographic exposure, but rather Illumination (Wiki) and Photometry (Wiki), Foot-candle (Wiki). 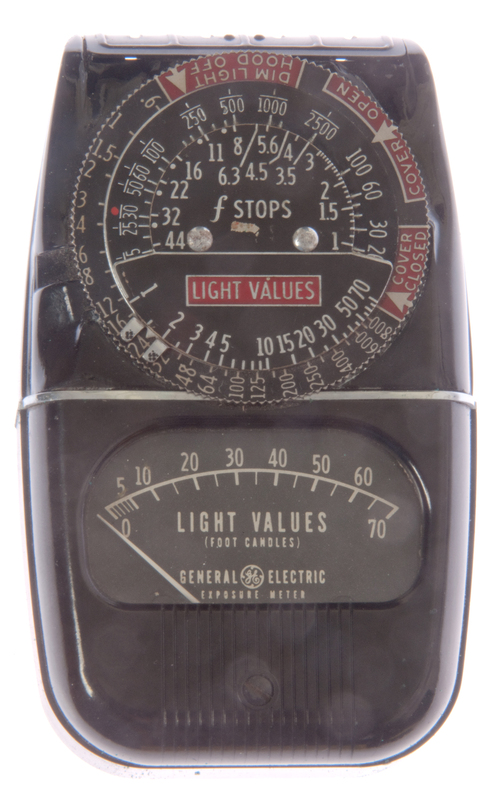 This is very similar to a light meter I used decades ago. I remember the hinged light baffle that also changed the meter scale. 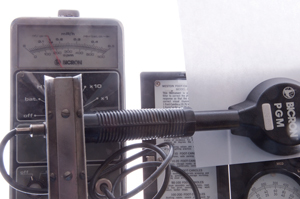 Note in the photo where the baffle is opened the meter is reading the daylight in the room. 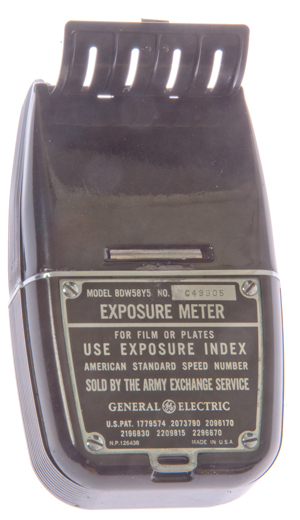 Physically looks like the 650 still camera exposure meter, but the circular calculator and meter face are specific to movie cameras. A letter to the first owner explains how to use it for still cameras. 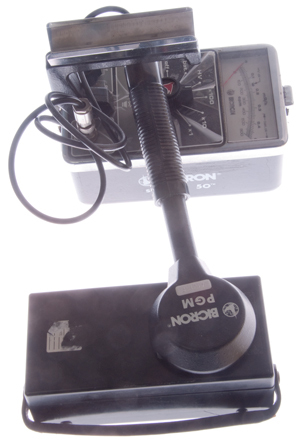 I used one of these to go along with the Ansel Adams (Wiki) Zone System (Wiki). This was the subject of a camera class at De Anza College. I used the Calumet 4x5 view camera for that class. The book for the class was The Zone System Manual by Minor White (Amazon). Lumens (Wiki) are a measure of the total visible light emitted by a source and it typically measured using an integrating sphere (Wiki). For example the Lumen output of a LED would be the same after it's lens was filed off as it was with a narrow beam. 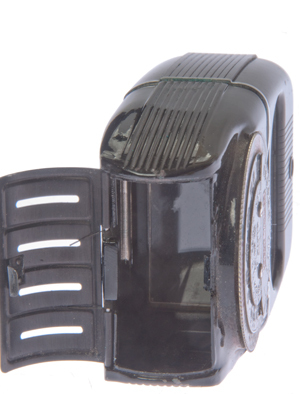 But the Foot-Candle reading with a narrow beam will be much higher than for the same LED after filing off the lens. Some LEDs have their light output specified in MCD (milli candelas Wiki) and they get high numbers by using a very narrow beam lens. On the other hand some flashlights advertize high lumen numbers, meaning they contain a bright LED, but do not have the optics to focus all that light into a beam to provide a high Candela value on the subject being illuminated. The Xenide AEX25 1500 Lumen HID flashlight uses a High Intensity Discharge Xenon Short Arc lamp which allows designing an optical system that gets very close to all the light on the target, but an LED is far from a point source, i.e. it has a very directional light output pattern making it difficult to get all the light where you want it. Sunny Day 13 Mar 2009 39 deg North into ma range of Fluke 87 DMM. 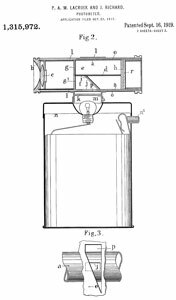 In the 1920s there was a lot of patent activity related to adding sound to moving pictures typically done using vacuum tube technology. 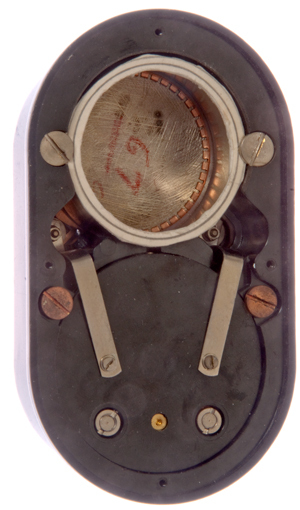 There was also a lot of work on transmitting images electrically, later called television, again typically using vacuum tube technology. In both these applications speed of response was very important. But for measuring light for photography or to determine the light needed for various industrial applications a light meter with a response matching the human eye was required. 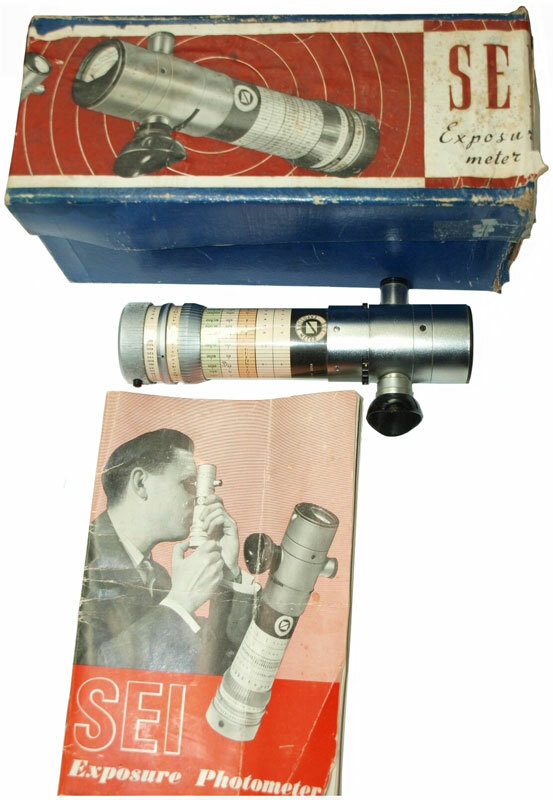 2058562 Light intensity self-adjusting camera, Albert Einstein, Gustav Bucky (), Oct 27, 1936, 396/213 - mentions "Weston Photronic"
Compact square with light sensitive rectangle in meter face. Street light control uses time clock to change sensitivity. I.e. not turn lights on the morning at same brightness as they were turned off at night. 2244264 Photoelectric Cell, Louis J. Seitz Jr. (Weston Electrical Instrument Co), Jun 3, 1941, 136/256 - This is an improvement on the Photronic Cell. ridged surface so sensitivity is dependent on the direction of the incoming light. Why? Ans: so that the included angle of light would match a normal 46 deg. camera lens. Method of making contact to the top transparent layer (talks about the GE units, but not by name). 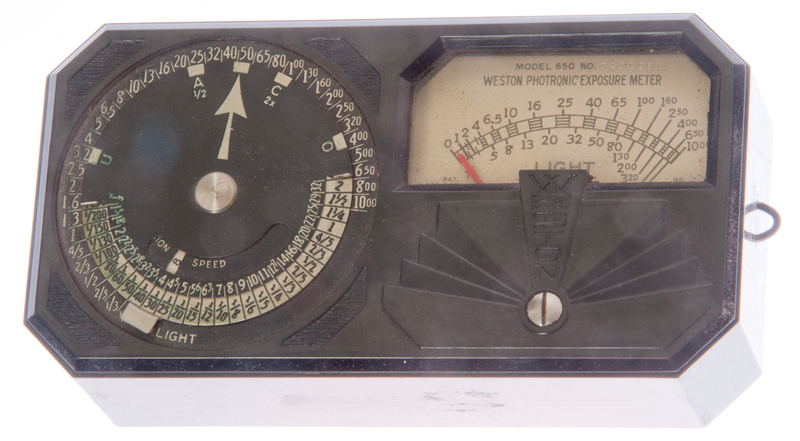 Looks like Weston 703 Light meter. Simpler and better process to convert amorphous Selenium to crystalline form. In glass tube. Patents that reference the Weston "Photronic Cell"
Design probably from the late 1920s, using "GE" film speeds. They switched to ASA film ratings in 1946 (Wiki). Note: this meter says on back "For film or plates use exposure index American Standard speed number". Sold by the Army Exchange Service. An Integrating sphere (Wiki) was used by Edison when testing his light bulbs. It collects all the light from a source and so removes any directional aspect so gives you a measure of the total light output. I've watched eBay for a used one that's small, but they are still thousands of dollars. 2018 May discovered a YouTube on making your own. 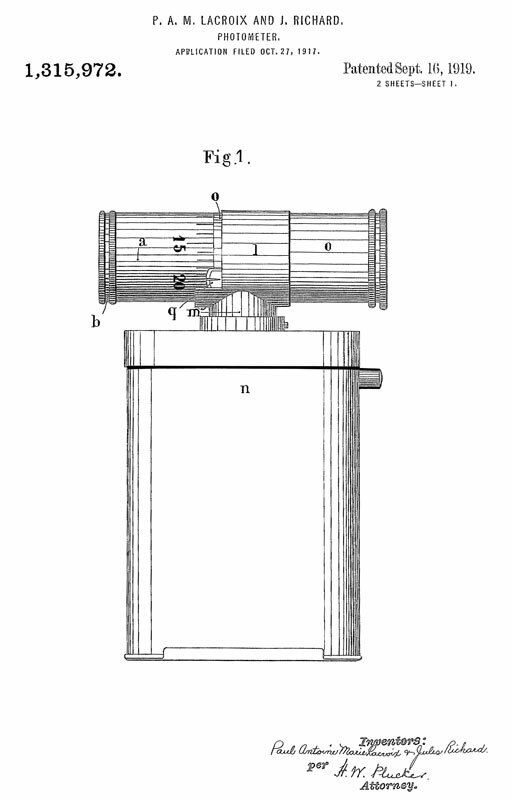 DIY Lumen Measuring Device. Integrating Shpere, and Lumen Tube. page created 22 May 2008.